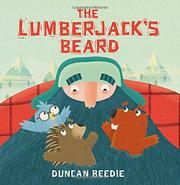 Jim Hickory, a lumberjack with a guilty conscience, opens his beard to a trio of forest refugees. Jim the lumberjack has a strict but comforting routine: limbering-up exercises, big pancake breakfast, and a day of chopping trees before a relaxing evening in his cabin. One evening, a bird, angry that the tree that held its new nest has been felled, appears at Jim’s door. Feeling sorry for the bird, Jim invites the bird to roost in his beard. Slight routine disruptions ensue: the bird sings early in the morning and eats some of Jim’s pancakes. Then, bushed after a day of burning leaves and twigs, Jim is dismayed when a porcupine who now has nothing to build a shelter with bangs on the door….Tenant No. 2 is a bigger disruption in the routine. When they’re joined by a beaver whose dam Jim accidentally destroyed floating logs downriver, it’s too much for the lumberjack to take. He chops off his enormous beard (leaving it on the front porch for his three new friends) and has a restful night of sleep. With all the nearby trees gone, he has to find a new task…and planting a fresh forest of trees seems a win-win-win-win proposition. British author/illustrator Beedie’s digitally created, rustic-styled illustrations extend the silly, simple story nicely with their warm, forest-y hues.